Artist Jill Greenberg identifies herself as both a fine artist and commercial photographer. Her website is comprehensive (save for the debacle around The Atlantic Monthly John McCain image in 2008), and a theme that keeps emerging is the use of animals as a comment on art history. 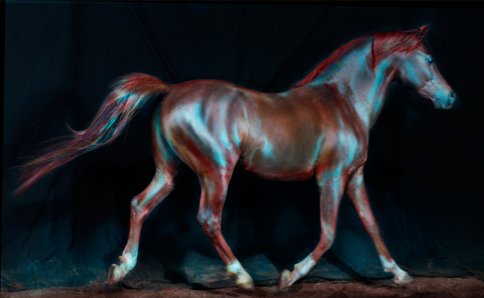 While not all of her photographs of bears, horses, monkeys, or dogs resonate in this way, Greenberg includes a few images that make this theme explicit.